Shape tape concealer is the famed concealer and the internet cant get enough of this product!!! Furthermore it is said to have the most perfect concealer texture, stay in place all day and not crease under the eyes! It is one we are certainly getting on the make up haul list! Is all about colour if we had to summerise! – We picked his Liquid Frost as who doesn’t want their highlighter to be on fleek! Enhance your cheek bones and cupids bow for that perfect insta glow. 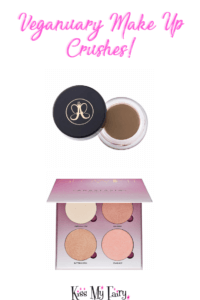 This cult brand is one of our MUAs obsessions! We love the dip brow pomade as not only does it have staying power, it comes in a fab range of shades too! Another product we are wanting for our make up bags – The Glow Kit an all-in-one sun dipped kit containing 4 shades of highlighting powder featuring warm bronze hues and intense luminosity perfect for those long Ibiza nights! 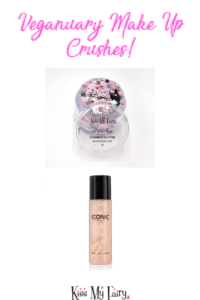 Last but by no means least – Kiss my fairy glitter and fixing gel! Finally our Famous Chunky cosmetic glitter kits are a firm favourite amongst make up pros and celebrities alike . Our easy to apply glitter mixes with step by step application instructions now mean anybody can easily create pro looks. Our glitter not only blends effortlessly and complements all skin tones its also a 100% animal cruelty free! 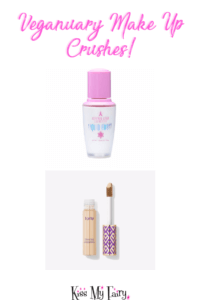 To conclude this months blog of goodness you can find all products listed are available to buy from one of our fave beauty sites https://www.beautybay.com . As our way to ease you into Veganuary – use code HAPPYNEWYEAR40 for 40% off all our glitter!